Mix the salsa ingredients in a small bowl and cover and set aside. Sprinkle the seasoning mix over both sides of each steak, pressing to coat. Heat a large cast-iron griddle pan over a very high heat. Cook the steaks in the hot pan for 3-4 minutes on each side until charred and cooked to your liking. Transfer to a warmed plate and leave to rest for 5 minutes. 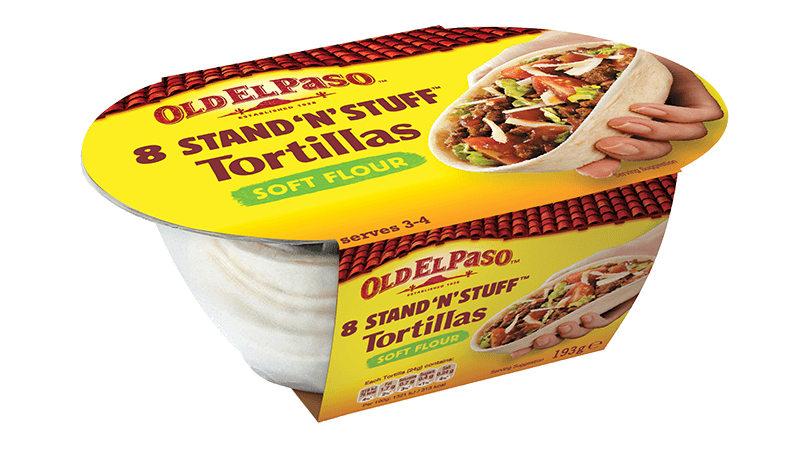 Warm the flour tortillas as directed on the packaging. Transfer the steak to a chopping board and thinly slice. Divide the steak slices between the warmed tortillas. Top with the salsa and serve. 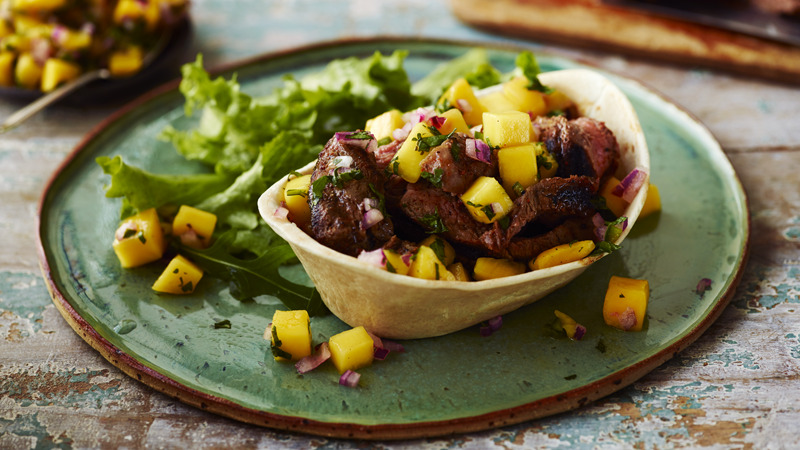 You can use a drained tin of sliced mangoes for the salsa instead of fresh, if preferred. For a budget recipe replace the rib-eye steak with thin flash-fry steaks and cook for 1-2 minutes until seared. Rest for 5 minutes then cut into strips.